The Philistine’s had a champion, his name was Goliath. Goliath came before Israel’s army for 40 day to make his position known. He challenged Israel to send an able man to fight against him. His terms were, if the man fighting against him were to win, then the Philistines would become Israel’s servants. If Goliath were to win, Israel would serve the Philistines. The problem was, both Saul and his men were terrified of Goliath. They were intimidated by his appearance, he stood 9 feet tall and his armor alone weighed 125 lbs. David’s older brothers, Eliab and Abinahdab, were both serving in Israel’s army under King Saul. David was sent to the camp to deliver supplies in support of the army, afterwards he was to return home, give a report to his father of the status of the battle as well as the condition of his brothers. On his way to the battlefield to check on his brothers, David heard Goliath threatening Israel’s army. He saw how fearful they were of Goliath, so without hesitation, David quickly ran to the battle lines, in his hand he had 5 stones and a sling shot. He stood facing Goliath without any fear, nor was he intimidated by his stature. After seeing David, Goliath was highly insulted that his opponent would send out a boy to do an able warriors job. 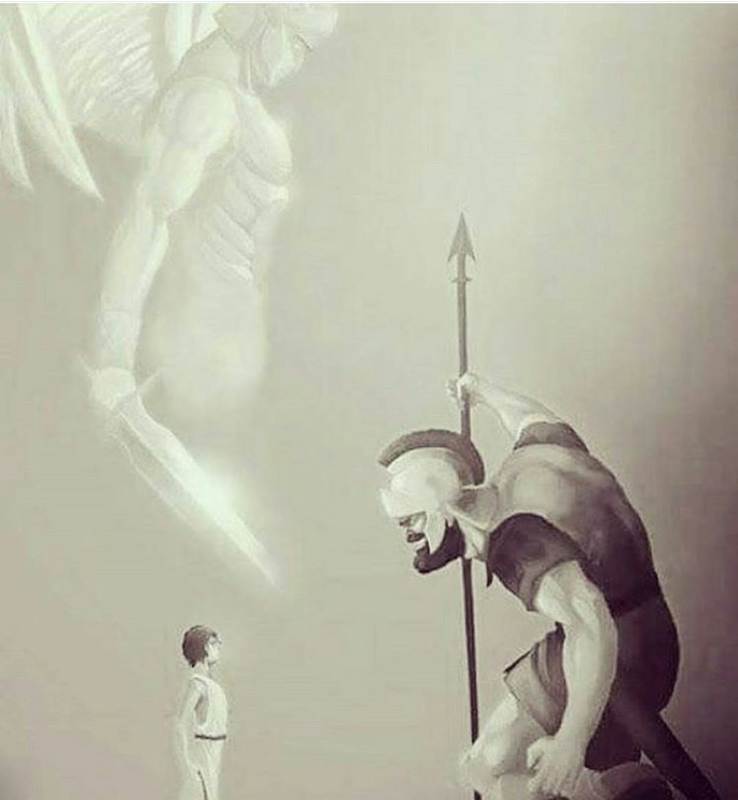 But regardless of his age (he was 17), David stood tall and accepted the challenge to fight this unclean Philistine. You see, David knew who God was, and he also knew that God was more than able to defeat this enemy. So, with confidence David boldly proceeded to tell Goliath his plan of attack. “This day will the LORD deliver thee into mine hand; and I will smite thee; and I will give the carcasses of the host of the Philistines this day unto thine fowls of the air, and to the wild beasts of the earth; that all the earth may know that there is a God in Israel”; (v. 46). God can use anyone. He often uses the least likely just to prove that point. Thanks for posting this Jeanie.